Living Bridges has always been about children. 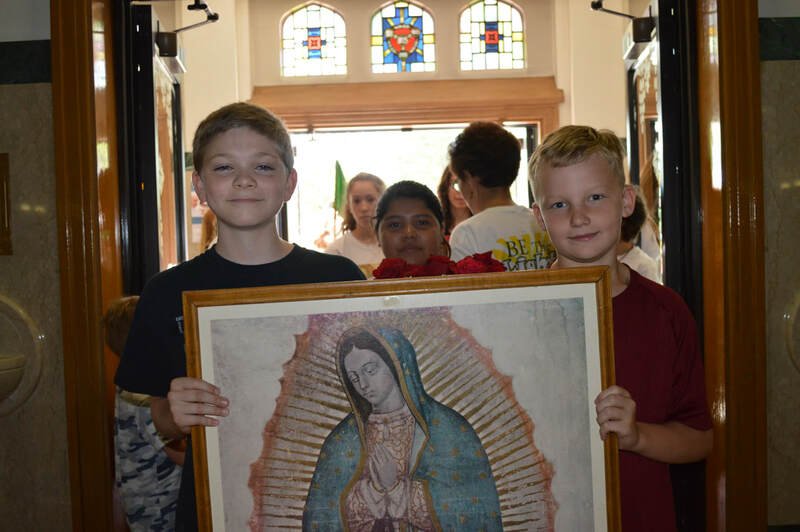 From Mexican orphans to giggling children in summer camp to children in a CGS atrium, meeting the physical, emotional and spiritual needs of children has always been a focus. Every endeavor is steeped in our faith and our desire to inspire love for God. In addition to Camp Guadalupe and our Education Program, we have offered men’s Bible studies, men’s and women’s retreats, hosted programs on television and radio, written books and countless articles—all in an effort to encourage a deeper faith, a hunger for God. Living Bridges celebrates 40 years serving U.S. families and needy children through educational programs, scripture and faith sharing programs, group support activities for men and women, and multi-media outreach. Bob and Anna Iatesta have been in full time service to families and children since 1977. They are the parents of seven children and 13 grandchildren. Bob is the author of Fathers: A Fresh Start for the Christian Family (Servant Publications.) Anna is the author of a booklet series titled “Reflections”. They both served as radio hosts for Radio Maria Network, authored several regular publications, and co-hosted On the Way, a Gabriel award-winning television series. Bob and Anna are recipients of several national awards including the Donald Noyes Memorial Award and the Catholic Contribution Award by the Catholic Campaign for America.